Since 2016, Remake has taken 8 'peace corps for fashion' journeys into garment maker communities to give us human faces behind our clothing labels – from “Made in China,” “Made In India” to “Made in Pakistan“. In our 7th journey, we took aspiring fashion designers into Cambodia where they listened and learned. This time we took next gen fashion designers from Parsons School of Design and California College of the Arts to Sri Lanka. 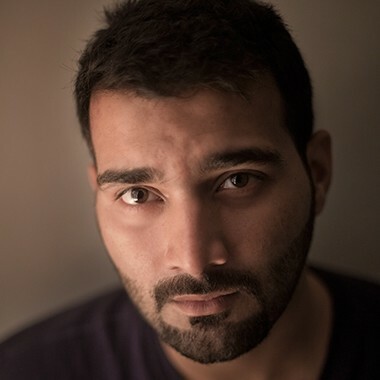 Documentary photographer and a filmmaker from Karachi, Pakistan. Asad Faruqi has a degree in BS Media Sciences with concentration in film and video from SZABIST, Karachi. He was an assistant producer and additional camera for an Emmy award winning documentary, Pakistan's Taliban Generation and Oscar winning documentary, Saving Face. He has been worked as a documentary cameraman and a photographer for various broadcasters such as Channel 4 (UK), HBO, PBS, CBC and others.